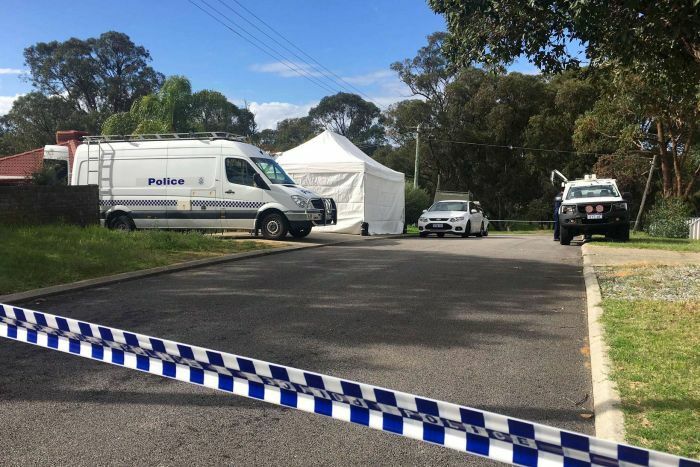 Jemma Victoria Lilley, 25, and Trudi Clare Lenon, 42, were charged after police found the body of Aaron Pajich under a freshly laid concrete slab in the backyard of their home on Broughton Way in Orelia.Two women accused of murdering an 18-year-old man in Perth's southern suburbs have appeared in court. The Perth Magistrates Court was told Mr Pajich, who had Asperger's syndrome, was killed on June 13, the same day he was last seen at a taxi rank at the Rockingham City Shopping Centre. Lilley and Lenon were not required to enter a plea and have been remanded to face Stirling Gardens Magistrates Court next Wednesday. One of the accused women had studied with Mr Pajich at an educational facility in Kwinana. Two women have been charged with murder after a body was found in the backyard of this Orelia home.